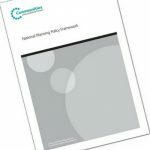 Those of us in the planning and development industry are waiting with bated breath for the Government to publish the draft revised National Planning Policy Framework (NPPF), which is expected before Easter (according to a letter from the Ministry of Housing, Communities and Local Government’s chief planner, Steve Quartermain CBE, dated 30 January 2018). The NPPF is likely to address a variety of subjects, and the Government will strive to publish a final revised NPPF in the summer – some might consider this ambitious considering the likely high number of consultation responses to weigh up. Indeed, revising the NPPF has already taken some considerable time, given that the Government first consulted on changes in December 2015, and former Planning Minister Gavin Barwell said he would aim to publish revisions in the autumn of 2016. And with Good Friday on 30 March this year, even the initial consultation date is fast approaching, leaving the Government under pressure to meet this first target. This slip in the timetable already means that the introduction of the standard method for calculating housing need is now unlikely until at least the summer 2018 – a fact that has probably left several local planning authorities breathing a sigh of relief! Over the past few months, the subjects to be raised for consultation have been drip fed into the public domain. There is one in particular that we at Apex Planning Consultants have been vocal about in the past – support for the allocation and development of small sites, rather than local planning authorities being too reliant on strategic sites. So we are pleased to hear that the Government proposes to consult on an idea that would require local authorities to ensure that one-fifth of their housing supply involves small sites that measure under 0.5 hectares. In actual fact, the Government has been leaning towards this idea for some time – in the autumn Budget it announced it would consult on measures to require 20% of housing supply as small sites. However, we hope that this is an extension rather than a duplication of what the Government said in last year’s Housing White Paper where it said it expects: “local planning authorities to have policies that support the development of small ‘windfall’ sites” and to “indicate that great weight should be given to using small undeveloped sites within settlements for homes, where they are suitable for residential development”. The reason being that we already have general support for the redevelopment of ‘windfall’ sites in development plans, as well as the NPPF, but we believe there is also a pressing need for small greenfield sites to be utilised. These are not, of course, ‘windfall sites’ since the current NPPF (Annex 2) defines them as sites that “normally comprise previously-developed sites that have unexpectedly become available”. The aspiration of securing one-third of the housing supply through small sites could bring even greater focus on the need for Neighbourhood Plans to be receptive to new housing, avoiding reliance on one site on the edge of a settlement and instead selecting a number of sites. It will also mean that local planning authorities might need to consider spreading housing allocations among a larger number of villages, rather just being reliant on edge of town or main settlements sites. As well as potentially supporting the growth of SME housebuilders and securing the faster turnaround of house building, such a strategy could result in other positive benefits that would be felt among rural communities, including the retention of shops and services within villages, as greater patronage improves viability, and improved public transport. With this in mind, small house builders should be actively considering the submission of representations to the consultation draft revised NPPF to support this suggested aspiration. If you would like to discuss your own planning project with us, or just find out more about what we do, please continue to browse the website or drop us an email to: info@apexplanning.co.uk without obligation.